FanDuel and William Hill settle AC lawsuit due to copyright infringement! 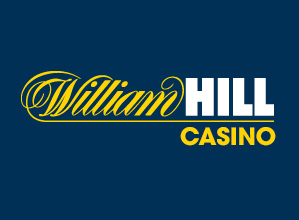 As most remember, a few months ago William Hill (WH) filed a lawsuit against Betfair FanDuel. According to court documents, WH accused FanDuel of copyright infringement over its, “How to Bet Guide Book”. Which, is more of an online pamphlet than a book. Anyways, WH didn’t like that, so they took matters a step further and filed a lawsuit in federal court. Since then, there hasn’t been much mention of it. However, we’re now learning that there’s been a major breakthrough in the case and that a settlement has been made. So without further delay, let’s air it all out so we can all get back to sports! With a Government shutdown looming over the US, federal courts are experiencing major delays. As a result, it looks like FanDuel decided to give WH what they were seeking in terms of a settlement. Unfortunately, the amount paid hasn’t yet become public knowledge, so we can’t tell you how much FanDuel put up to close this chapter and move on. Which, is probably the best thing for both bookmakers. On one hand, NJ sportsbooks handled more than $1.24 Billion in just five months, and that’s just an insight into how much this market is potentially worth. So who has time to waste in petty court battles? 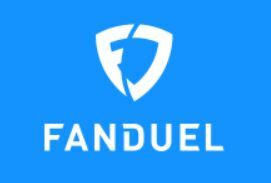 On the other hand, FanDuel is one of the most trusted and respected sportsbooks in America. With that said, these claims had no negative impact on FanDuel fans or future fans alike. As we mentioned above, there’s a lot of money circulating through the NJ sports betting market right now. On that note, there’s also a lot at stake here, so the competition is due to be intense this year. FanDuel’s power merger with Paddy Power Betfair made FanDuel the largest online sportsbook in the US. So as a lesson going forward, sportsbooks in NJ should be much more careful in their practice. After all, with so much at stake here, it’s not worth losing time and money in long, drawn-out legal battles over small matters.